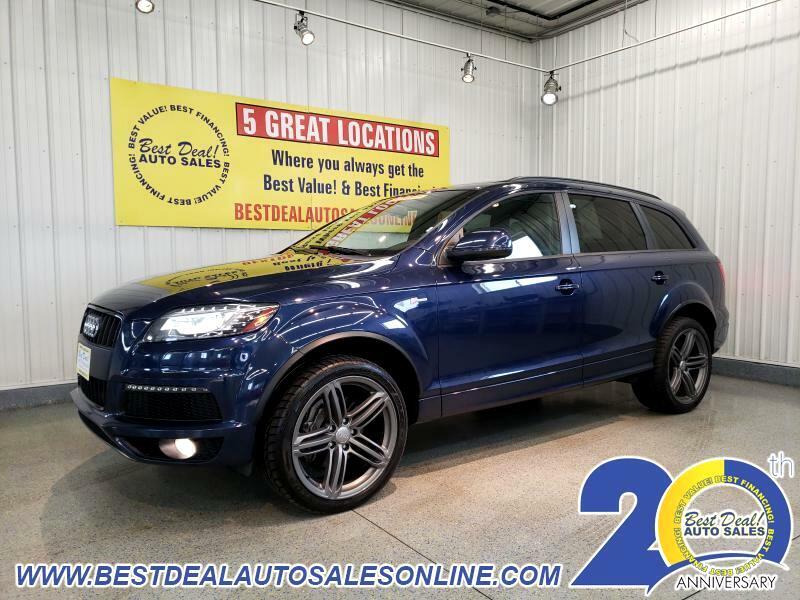 Enjoy the Well-Crafted Interior and Powerful Engine in this 2013 Audi Q7 3.0 S-Line Prestige quattro!! AWD! Supercharged! 3rd row, navigation, heated/cooled leather, panoramic sunroof, rearview camera, Bose premium audio and so much more!! Stop in today or give us a call @ 260-483-7999.